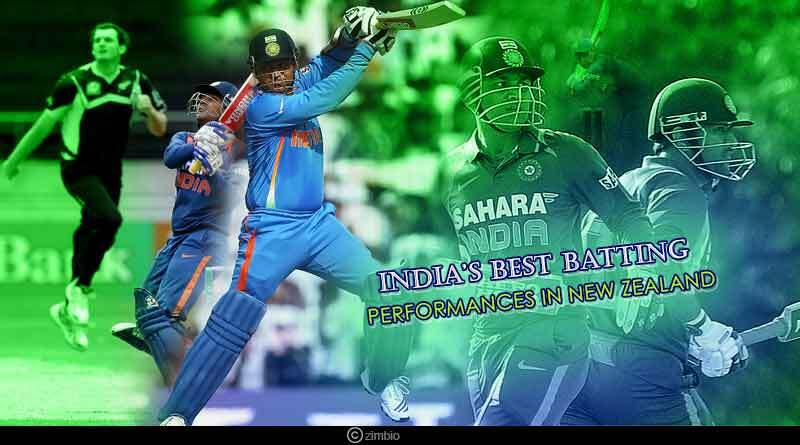 It’s interesting to read about India best batting performances in New Zealand. Despite traditionally being a country where India has not had the best of times playing ODI matches on, over time the country has delivered some mind-boggling and wonderful batting performances in New Zealand. Having played their first ODI against New Zealand in 1955, India initially struggled to negotiate pitches that tormented their batsmen owing to the pace, swing, bounce and deviation they generated for the pacers before Virender Sehwag finally took charge to show the Indians how to take apart bowlers on such pitches. With 1157 runs under his kitty against New Zealand that include 6 centuries, 3 half-centuries and 583 runs on New Zealand soil, the maverick called Sehwag stood far above everyone else. The sole reason for India to win two ODIs in 2002-03 and to guide India to a mammoth 392-4 in 2008-09, Sehwag’s memorable innings and incredible resistance in the country will live long in every Indian supporters’ mind. At a time when scoring above 6, leave alone 7 was considered a humungous task in cricket, the Indian side to visit the country in 2008-09 came racing out of the blocks to score at a staggering run-rate of 7.52. Turning around things in a country where they have failed to ever win an ODI series, India overturned their abysmal track record courtesy of some magnificent performances with the bat. The 392 India scored that day in the fourth ODI of series was a batting performance that none of us had fathomed. It left the hosts stunned as they failed to come close to India’s target, giving India their first ever series win in the country. The same match that saw India notch up 392 was headlined by a spectacular and stunning show of clean, coveted hitting by one of the most skilled and fearless openers to have ever taken to the game. 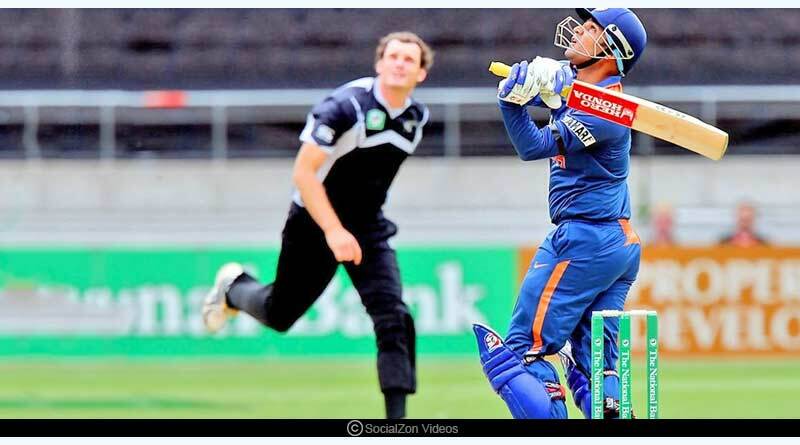 Taking just 74 balls to reach is 125, Sehwag remained unbeaten throughout the innings, hitting boundaries as well in an expansive show with the bat that saw him cream the ball to all parts of the ground. In a seven-match series where India had faltered embarrassingly with the bat, scoring 108, 219, 108, 122, 169/8, 200/9 and 122 at 5.64 per wicket and 3.51 an over in the series, Sehwag stood composed at one end, standing tall like a pillar to withstand some of the toughest, greenest, most pacey and almost unplayable pitches in the world. While wickets kept falling at one end, Sehwag showed immense resilience, holding the fort at one end to be the fulcrum for India. His efforts kept thwarting South Africa as he kept his intent in check before eventually opening his arms to play in a manner that only he can. On pitches where even the hosts couldn’t score centuries, Sehwag got two, both coming in the matches India reached the 200 run mark. He scored an amazing 299 runs in the series, something that stamped his authority as a wonderful and extremely flawless player who was not afraid of playing his brand of cricket in any series in the world. In a series which could have ended up extremely badly for India, Sehwag helped his side win the fifth and sixth ODIs by 2 and 1 wickets respectively to ensure that India went back home with at least two wins from the series.